Nestled between Roxbury, Jamaica Plain and Brookline, Mission Hill is one of Boston’s most gorgeous and lively neighborhoods. Close to the Museum of Fine Arts and well served by public transportation and numerous other amenities, the area is increasingly becoming known for its vibrant flair and livability. Mission Hill provides easy access to a number of educational institutions, including the Berklee School of Music, Massachusetts College of Art, Massachusetts College of Pharmacy and Health Sciences, Wentworth University, and Northeastern University, and houses the Longwood Medical and Academic area, therefore has seen a remarkable amount of real estate development while retaining its rustic charm. This being the case, there’s no better time than now to consider moving into the area. With the help of MissionHillPads.com, 3-bedroom homes or apartments are easier than ever before to find. 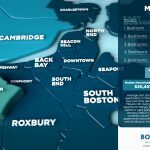 Prospective buyers can search through approximately 2,268 local real estate mission hill listings based on specifications like location and rent price while getting an insider’s perspective of area. 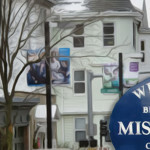 While there is no shortage of alternate ways to find possible homes these days, this website only works with landlords, realtors and local agents who have a solid track record.Mission Hill Pads also provides access to Bostonpads.com which gives users the ability plug into to the largest real time real-estate database in New England. With new listings every day, the right 3-bedroom home is guaranteed to pop up and is only a few clicks away.